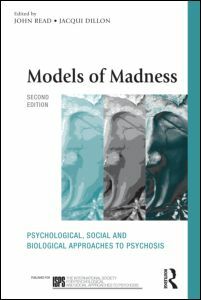 In 1988, my assistant, Ann and myself, were invited to Molde, Norway, to do some workshops on psychotherapy and other treatment methods with patients who have a diagnosis of schizophrenia. We were there for two days and met some interesting professionals who were to become our friends as well as colleagues. In 1989, we were invited back for two weeks. We not only made presentations, but also worked with Norwegian patients in an effort to demonstrate some of the strategies and methods of Direct Confrontation Psychotherapy. Bear in mind that this is a psychotherapeutic approach that I developed over the years of my career. Ann had something to do in the treatment, that being, activating patients who were not only schizophrenic, but somewhat immobilized by depression. I think that it is important to note that all patients with schizophrenia suffer from depression. This depression is not always evident, but it is always present. They, as individuals are unhappy and suffer from a sense of loneliness and a feeling of worthlessness. These issues need to be addressed in order to effect changes in their condition. In 1990, we were invited back again for three months to help initiate a program sponsored by the Norwegian Government and also the county that Molde resides in. The purpose of this program, was to study the effects of a contiguous treatment effort with young patients diagnosed with schizophrenia. The preliminary project was designed to determine the effects of this program so that it could be continued over a fairly lengthy time. If the program met with success, its purpose was to share information with psychiatric hospitals throughout Norway. My job, in particular, was to design part of the program dealing with active psychotherapeutic measures. 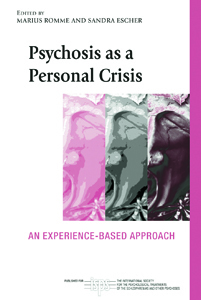 Ann's participation was in the psychosocial area. However, as we met with staff to communicate and develop the design of the program, it became apparent that we faced a major handicap. The staff was in conflict and there was no effective communication. I realized from the very beginning that the success of the program was dependent on the staff working together harmoniously. This is always true. Successful treatment in most cases is dependent on the cooperation and the willingness of the staff to support the treatment and the capacity of the staff to discuss openly their ideas and feelings about treatment. To overcome the disharmonious atmosphere, I made it mandatory as Chief Consultant, that the entire staff observe my psychotherapeutic efforts. The purpose was to help them learn about active psychotherapy treatment and also help them feel that they were participants in what was happening and in meetings learn how to communicate ideas and feelings, so that the conflict could be overcome in a relatively short period of time and indeed it was. What was a function of necessity turned out to be an effective therapeutic method that was termed by the Norwegians as 'living room therapy'. What became increasingly obvious, was a sense of growing cooperation between staff members, which included psychiatrists, psychologists, social workers, nurses and nurses aides. It became apparent to the patients that the staff was no longer in conflict and that there was a sense of growing hope and optimism and a feeling of creativity that became instrumental in effecting behavioral changes in the patients. Some of the patients began to express hope that they could one day leave the hospital and make a life for themselves in a productive sense and also leave the mental health system. There were levels of schizophrenia, from low functioning to high functioning individuals. The majority of the patients had a long history of this condition and had pretty much integrated schizophrenia into their lifestyle. I wish to explain how schizophrenia becomes a lifestyle. In the initial phase of schizophrenia, the early onset is a terror syndrome. 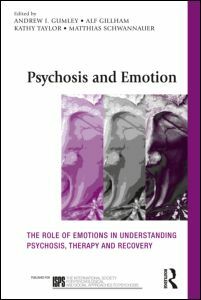 There is a dissolution of identity and the patient not only feels lost, but also is terrified of destruction and has a feeling of nothingness about him/herself. He/she hangs between life and death and in desperation, retreating to a place where they are able to organize around themselves, a series of workable defenses. The fear is processed into symptoms which reduce the anxiety and they feel a sense of greater security; so one can see that schizophrenia is a survival system with its own logic and language. It has purpose. It has meaning. Those individuals, who suffer from that condition, are not completely comfortable, but feel much relief. So that's what we had to deal with: patients, who had found a way of surviving in a world that they perceived as a threat to their lives. In our efforts to understand what schizophrenia is, it is extremely important to understand that it is more than a series of symptoms and characteristics. In order to understand the condition, we must learn to accept their realities and make an effort to look at the world through their eyes. I treated all the patients on the ward, not with the typical passivity, which characterizes the traditional psychotherapies. I felt a sense of deep personal involvement, which might be termed psychoemotional. I grew to like almost all the patients on the unit even though they were wary of me, which is certainly common in treatment. One could see the impact of treatment influencing them along with the other treatment modalities. Ann did a daily aerobics class; in the initial phase there was some resistance. However, it didn't take very long before there was a sense of enthusiasm about the aerobics class. Interestingly, the staff was drawn into the aerobics class and participated with the patients. They, too, were enthusiastic about it. It was really impressive. Also, there was an art class that we, Ann and I, participated in. Some of the patients were permitted to leave the unit and go on the hospital grounds and participate in some of the activities, which were part of the psychosocial program. There are other units in the hospital that requested me to work with some of their patients, which I did and later heard that the response was positive. The hospital and our dwelling were located on the beautiful Fjords, which made the experience much more pleasant. Several of the psychotherapists began to work with patients, under my supervision in the living room, with the entire staff present. This was unprecedented because they had been accustomed to seeing these patients in a small office in a separate building on the hospital grounds. I was impressed with some of their efforts because it was obvious that they believed, with a growing sense, in the importance of an active therapy, much more active than they had practiced prior to the beginning of the project. I recommend the living room therapy be practiced by other institutions. There doesn't seem to be any reason to hide therapy in small consultation rooms, unless the patient insists on it, because they have come to the point in treatment where the story they have to tell and the material that they are working on demands privacy. The therapists were energized and more positive. The patients felt this and the treatment alliance was much stronger. Patients referred to their therapists in a much more positive way and the therapists were much more expressive in their feelings about their patients. Transference issues were discussed. I made it clear that in my opinion, transference was an unreality that could lead to dangerous consequences if it should become delusional and that one should struggle to activate and perpetuate the therapeutic alliance, which is a reality, rather than the unreality of the transference. The therapeutic alliance is where all productive treatment takes place. Making contact is the first step, without which, there are no other steps. But making that contact, which leads to the treatment alliance is the most significant part of treatment. It was important for me to help the staff understand that making that alliance doesn't necessarily suggest that it remains constant. The therapists or other treatment specialists no matter what their role in treatment is, must be cognizant of the possibility of rupturing that alliance and the importance of mending it, so effective therapy can continue taking place. After three months, it was apparent that the initial phase of the project was successful and that some direction had been achieved. We then left Molde with plans to return. However, circumstances did not permit that to happen. We continued our contact with Molde and heard that the project continued its successful course. April 29th, of 1999, on a trip to Norway, we stopped in Molde for several days and renewed our friendship with our Norwegian colleagues. I gave a workshop on our Russian experiences from 1991 through 1995 to a group of professionals at the hospital. I was very pleased with the response and they were enthusiastic about the presentation. In discussions with some of our colleagues, we became aware of the successful outcome of their efforts over the past nine years. We were dismayed to find out that nothing had been published and I emphasized the importance of publishing this very important information. It appears that the program initiated a form of treatment that has shortened the stay of many patients and has enabled them, finally, to leave the hospital and live independently without any significant regressions. The Norwegian government has been able to help them find places to live in, with sums of money that enabled them to own apartments or to live in group homes. Also, an important part of effecting a successful outcome in treatment, was the efforts by some of the hospital staff in an outreach program that has helped communities lose some of the fear that is so very common with people who are uninformed about the nature of schizophrenia. I am not suggesting that all of those discharged from the hospital were fully recovered. However it is quite accurate to state that many were and others were partially recovered, which enabled them to live independent of the hospital structure. This is a significant contribution. It is with a feeling of pleasure and reward that we had the opportunity of meeting with old friends and colleagues in our return to Molde. It also gave us a wonderful feeling that we had made an important contribution in the lives of many worthwhile human beings. We understand that there is some research and outcome results about to be published pointing out the success that I mentioned. Even so, I have urged some of the individuals that participated in the program to independently write about the outcome, to write their own version about the treatment. For us, this brings to conclusion, an important chapter in our lives and we are happy that we were part of such a useful undertaking. In conclusion, I wish to acknowledge the efforts of the Project Leader, Kari Tusseth, Age Svenson and Sigrun Mongstad and all the staff who made a contribution in this project on C7. 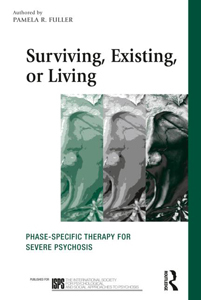 I especially acknowledge the work of Sigrun Mongstad who has continued the “living room therapy” since we left in 1990.